Halong Bay is 180km (107 miles) from Hanoi. From Hanoi, most of people choose driving to Halong Bay about 3.5 hours. People could either choose the Shuttle Bus of the Cruise or use the Private Car/Van to get there. Belows is the cost of the Round trip transfer from your hotel in Hanoi to Halong Bay and return. Shuttle Bus: It costs you from US$10/per person - US$50/ per person for this round trip. The 16 seated Bus will pick you from your hotel and transfer you to your hotel in Hanoi after the trip. you will share the Bus with some other people from different hotels so the departure time will be roughly from 07:30AM – to 8.30AM. We need to be ready at your hotel lobby at from 7:30 AM. It is more economic when a single person traveling. 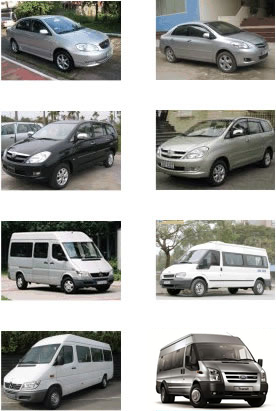 Private Car/Van/Bus: Using private Car/Van is more convenient and more flexible. Our driver will be waiting for you at your hotel lobby at 7:40 AM. The time is bit shorter because you don’t have to wait for other, It allows you some break for tea or toilet stop along the way or photo stop if you are interested. Note: If you wish to Pick up or Transfer from the Airport instead of your hotel, Please pay the extra US$30/ Car ; US$40/ Van/ each way. 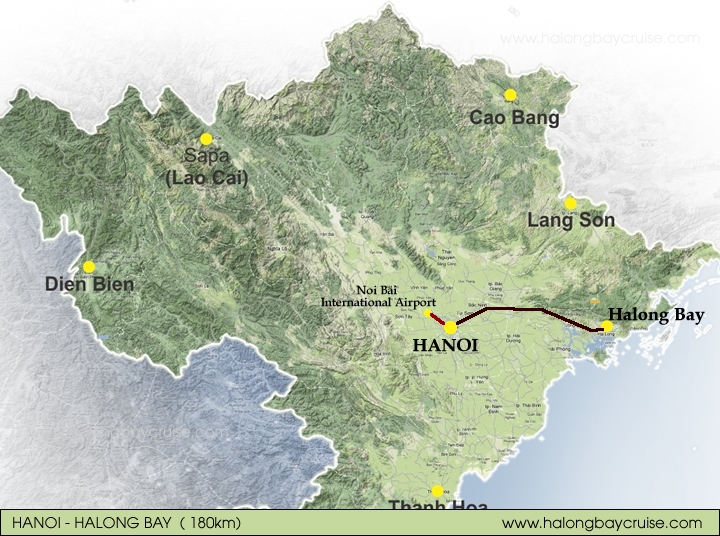 Question: The distance from Halong Bay to Hanoi & Halong Bay to Airport is not much different. Why I have to pay more when I travel Halong Bay to the Airport? Answer: The distance is not much different but the cars are from Hanoi, after drop you at the airport, Driver have to go back to Hanoi plus the charge of tow road twice.